We drink a lot of beer here at The Hop Review. Like a lot. A lot of different beer, all the time. So, we found it only fitting that we start to share some of our thoughts on said beer. Each month, we'll share a handful of beers that we think you should know a little more about, through our palate. We've tasted through the following 12 beers (well, 11 beers & one cider), and rated them according to our very own interpretation of the BJCP scoring guidelines, on a scale of 100. We considered aroma, appearance, flavor, mouthfeel, overall impression and trueness to style. It's not an exact science, we know this. We just like excuses to drink...more beer. Enjoy! This hazy pink wheat beer is what a fruit beer should be–a beer, with real fruit in it. Loaded with fresh rasberries during fermentation, they add a slight tartness that's complimented by notes of citrus. Light, not cloyingly sweet–this is a sessionable beer perfect for summer heat. Xtra-Citra lives up to its name. As you raise it to your lips, you're smacked in the face with tropical and citrus aromas. The flavor follows suit, it's citra hops the whole way through. Super sessionable and juicy, with just the right amount of body to balance the mild bitterness. It's not often you come across a sour mash beer. But now I wish there were more out there to explore. Aunt Sally is inoculated with lacto before the brewing process, resulting in notes of tart lemons and citrus–with some sour candy in there. The lacto also adds a nice creaminess, resulting in a smooth hoppy sour ale. A Midwest brewery's take on a West Coast IPA. With that said it should be no surprise then that it's a little more balanced than the west side counterparts'. A combo of Citra and Mosaic deliver a huge nose of juicy tropical fruits, citrus, and dank. Dank, really dank. The taste mirrors its scent with flavors of pineapple and mango. 'Todd' is surprisingly complex for a single malt bill. This was our top scorer of the bunch, this month. 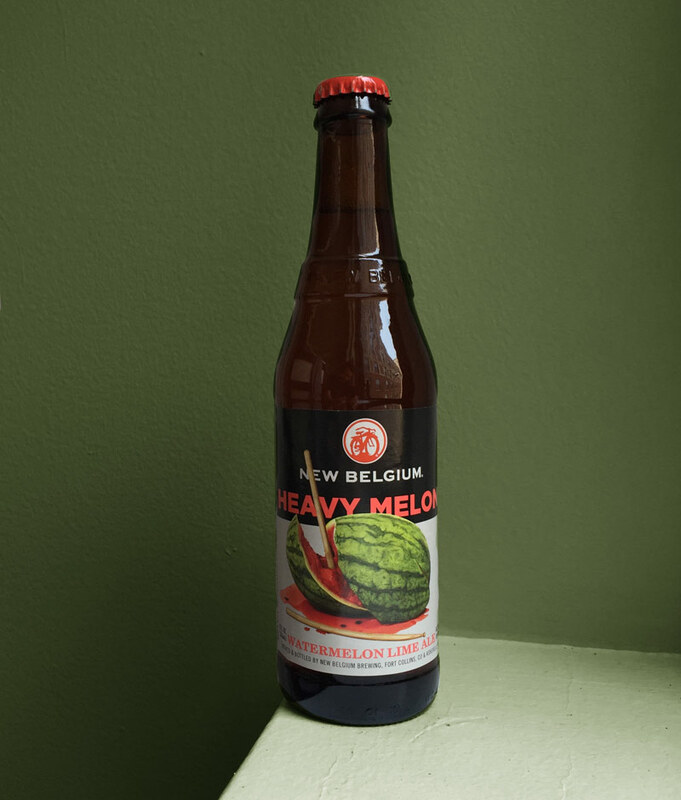 The name implies it all: a heavy dose of watermelon. But New Belgium uses a deft hand to create a refreshingly balanced offering that tastes natural and not overly sweet. In fact, it might be almost too mellow, despite the "Heavy" name. Watermelon is present in the aroma and taste, but dissipates quickly. A squeeze of lime and a hint of biscuit round out what is a refreshing blonde ale. The fruit beer for those who generally don't lean "fruit beer." Using eight different hop varieties, Idiot is a cornucopia of tropical fruits, peaches, mangos, and pineapple. And with classic Cascade features from a generous dry-hopping. Carrying the "imperial" tag, it's slightly viscous, but not heavy–and balanced nicely considering its hop bill. Inspired by Crater Lake National Park, this pale ale reminds you of the great outdoors. Brewed with ingredients exclusive to Rogue Farms this is truly an Oregon beer. With loads of fresh pine on the nose, this pale is light and refreshing. An ideal can option for the trails, and an excellent hike reward. It's remarkable the amount of complexity you can achieve with a single malt and single hop variety–in this case Goldpils Vienna and Simcoe. It's bready with hints of toffee. And that creates a creamy body that is clean and easy to drink. The Simcoe hops bring a light citrus characteristic, complimented with loads of piney-ness. Rainmaker is a huge, chewy Double IPA to digest. Grapefruit is prominent on the nose with undertones of pine, green vegetables, and some malt sweetness. Yes, slightly vegetal, but hang with us here. Despite this surprising quality up front, the flavor builds impressively. It's taste enhances with the addition of mint, a light grassiness, and caramel. Body is medium-full which helps support the claimed 158 IBUs (a real zinger) that lingers long after the last sip. Not as spicy as the majority of saisons on the market, as you might expect. But a nice funk in the aroma and on the tongue gives it a rustic feel. 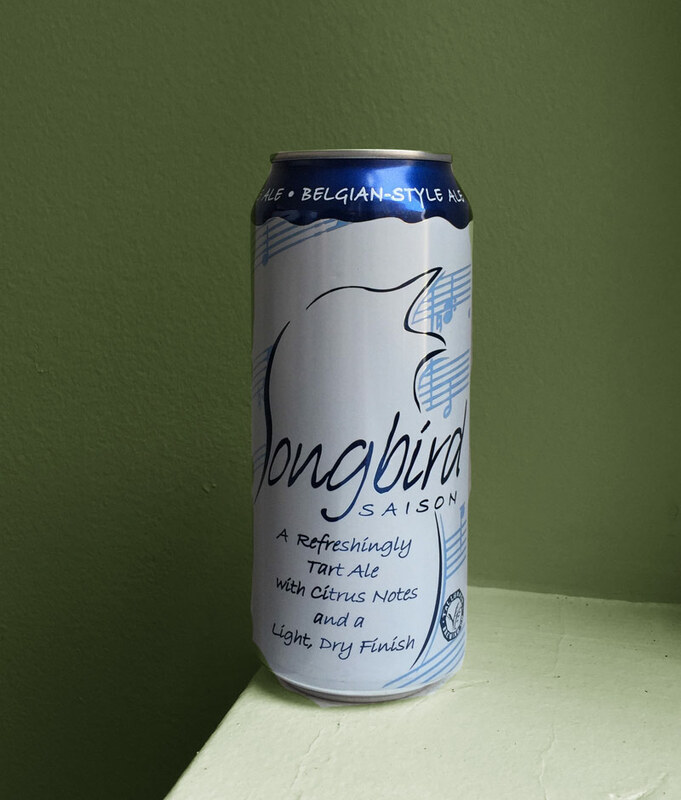 Otherwise Songbird is, overall, light with hints of citrus and lemons, slightly tart, and has a nice Belgian yeast characteristic throughout. Never judge a book by its cover–despite its generic packaging, this one from Tallgrass is on point. Caramelly brown with ruby highlights, this ale has soft malt aromas of toffee, toast, and a mild nuttiness. The mouthfeel is thin and flavors of milk chocolate, mild roast coffee, and nutty malts are quickly washed away. Mild, to be frank. 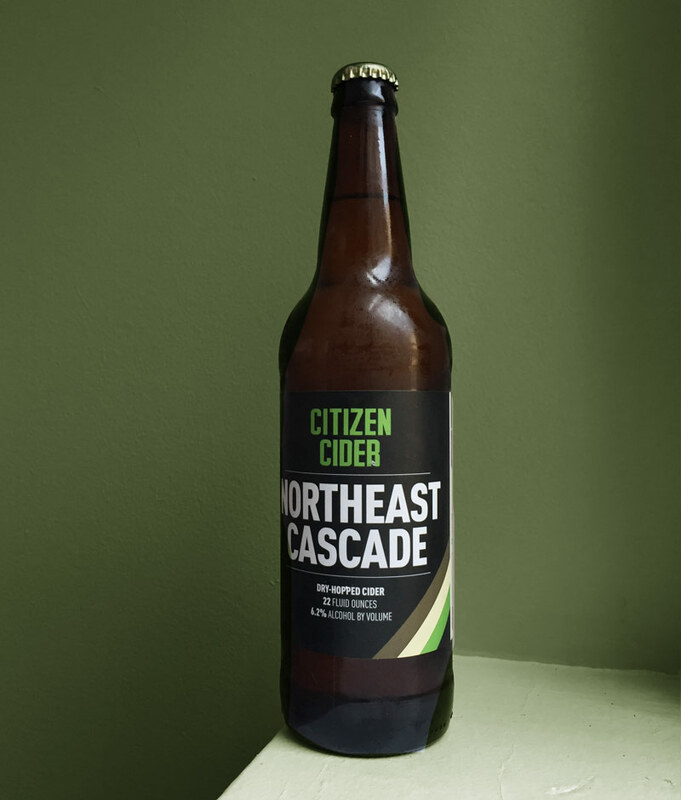 Dry-hopped with regionally grown Cascade hops that add a woodsiness to the tart apple aroma. Drinks like a sauvignon blanc, bright, grassy, and floral, but it could have benefitted from a dryer finish, as there are some residual sugars that linger, making it feel a little unfinished. Still, it leans as a cider made for the beer drinker, if that means anything.